then someone isn't treating her right. News: Medicaid now covers doulas in Florida! A free, no obligation phone call and meeting to see if I am the right doula for you. Doula on call for labor 24/7 starting at 38 weeks. Free pictures of your birth (when able to take them, priority is given to providing birth support). Phone and email support from the time services are contracted to SIX weeks post-partum. Access to my lending library which includes: pregnancy, birth, breastfeeding, and parenting books and DVDs. Basic Birth Choices Information Packet. Taking Blissborn childbirth education classes is highly recommended, especially for hospital births, first time moms and VBACs. Due to the efficacy and benefits of Blissborn, first time moms, VBACs, and hospital birth clients are required to take Blissborn, unless the same or similar program was already taken. Two pre-partum visits. This is to get to know each other and go over your birth plan, provide basic childbirth information, basic comfort measures, and support. One post-partum visit. This is to go over the birth experience and to help with any breastfeeding questions and/or other concerns, and for general support. Three pre-partum visits. This is to get to know each other and go over your birth plan, provide basic childbirth information, basic comfort measures, and support. Two post-partum visit. This is to go over the birth experience and to help with any breastfeeding questions and/or other concerns, and for general support. *This package requires client take Blissborn Chidlbirth Classes (group classes are $350) and a respectful care provider. Recommended for anyone looking for additional support and preparation specific to their needs. Two post-partum visits. This is to go over the birth experience and to help with any breastfeeding questions and/or other concerns, and for general support. Plus Two Additional 2 hour support visits (or classes) from the time services are contracted to SIX weeks post-partum. 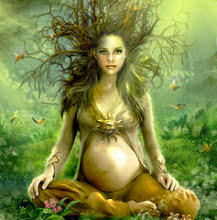 Includes Guided Pregnancy Meditation Session. Recommended for all women who want to create a deeper connection and awareness of the process pregnancy and birth. One pre-partum visit. This is to get to know each other and go over your birth plan, provide basic childbirth information, and support. This is a very special package. The act of becoming pregnant is intimate, so is giving birth. With this package you won't just get doula support in the traditional sense, the private and custom meditation and childbirth education sessions will be more in depth and more empowering. They will teach you to connect with your body and your baby, how to listen to your instincts, how to listen to your baby, and how to release resistance to reach a new level of awareness and conscious communication for you and your partner. You will learn that all you need is your body, trust in your instincts and the right care provider to birth the baby the way you desire. You will (re)discover instinctual positions to ease the birth of your baby and how to be the one to catch your own baby with your own hands and/or with the help of your partner. We will achieve this with custom and private meetings throughout your pregnancy, from the time your contract services until your birth and the post-partum period. Recommended for all women who want a natural and connected birth with the added benefit of private self hypnosis classes. A modified version of the Empowered Birth Package with private Blissborn® classes; 4 Empowered Birth meetings interwoven with the wonderful, proven and tested, comprehensive 5 week (12-15 hour) Blissborn program that provides tools of self awareness, deep connection, and self hypnosis to help create the birth you envision. Includes a professional childbirth education manual, printed materials, and several guided hypnosis recordings for use at home. Payment options are flexible based one each individual's needs. Please call for more details. MEDICAID: Florida medicaid now covers doulas. Please call for more information. INSURANCE: Should your insurance company cover Doula services, you will be given the National Provider Identifier (NPI), as well as an invoice, which allows insurance companies to provide you with reimbursement. FSA/HSA: You may also use your employee Flex Spending Account, or HSA account to pay for services. A Loving Birth is always willing to help parents who show a financial need. Please call for a no obligation consultation if you have any questions and are looking for information and support of any kind. Zeresh, owner of A Loving Birth has been a doula since 2008, and supported hundreds of couples on their journey to parenthood. In addition, she has attended many continuing education classes, has the support of wonderful midwife mentors, and organizes international trainings for midwives in Spain. Her passion drives her thirst for knowledge and continuous desire to improve her doula skills. Please see the Intro tab to learn more about her, her training and mentors. During A Loving Birth (through Doula Vida in Spain). Please note there are some graphic birth images.